Paul Ryan is a master avoider when asked about Donald Trump's latest controversies. 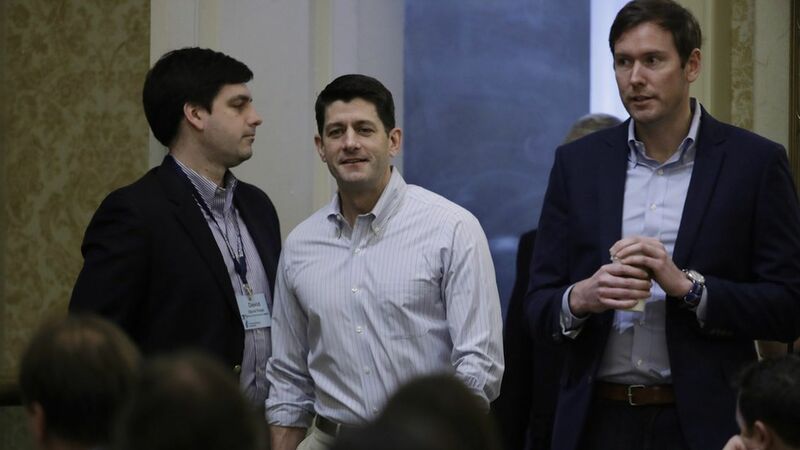 On Friday afternoon, however, House Speaker reinforced several strong positions in an interview with Politico reporters Jake Sherman and Anna Palmer. 1. He disagreed with Trump on Russia: Despite Trump's fondness for Vladimir Putin — and the possibility that the President will remove sanctions on Russia — Ryan made clear he's sticking with the hawkish wing of his party. Asked about McCain's suggestion that sanctions on Russia be codified into law, Ryan said Obama's latest wave of sanctions were long overdue and "should stay." 2. And said he'll keep pushing criminal justice reform: Despite Trump's push for 1960s-style law-and-order — and the President's appointment of hardliner Jeff Sessions as Attorney General — Ryan insists criminal justice reform is a priority this year. He said he's spoken to House Judiciary chair Bob Goodlatte and asked him to pick up where he left off last Congress.